Sleep deprivation has set in. We got into Florida a little after midnight last night and now it is 4:30am. It was about 2:05am when I woke up freezing. I should also mention that I slept in the airport. I decided since I was freezing and there was nothing I could do about it due to being in the airport. I decided 2 things. 1: I had the munchies 2: If I was going to be cold I should at least have a reason so I went and bought an ice cream cone at 2 am in Florida out of a vending machine. Anyways I am sitting here waiting to board my flight to Port Au Prince (P.A.P. ), and I am running on about 2 hours of sleep. Our fearless group leader didn’t even sleep. He laid down for about 20 minutes and said forget this. I guess the thing that just really shocked me this morning is that I went to a Dunkin Donuts this morning for breakfast, and they had NO donuts. I have a right mind to sue them for false advertising. j/k. Anyways, just playing the waiting game. One last thought for the morning. We flew over the coast of Florida last night and it was awesome. That brings up another thought, yesterday I had the smoothest and roughest flight of my life. NWA to Dallas was awesome, but Dallas to Florida was crazy. Turbulence and Lightening are a scary combination. Anyways I have to fill out a Custom’s Declaration form. 9:00ish am We arrived at the Haiti airport and it was beyond imagine. We exited the plane and was greeted by a tropical like music band, and then we stepped into the luggage claim, and reality sunk in. Military forces were scatted throughout as well as U.N. forces. Things were going smoothly until we exited the airport gate. We were bombarded by Haitians. It was like a mob. It was a little freaky with all of them yelling at you. I about got ran over twice with all of the pushing and shouting. I watched a police officer repeatedly hit a young Haitian boy with a knight stick. The stench of raw sewage filled the air as the humidity bathed you in sweat. One of our team members tripped on a pot hole filled with sewage, but luckily she fell to the side of it. It was awful having all these little children begging you for money. People came up to you trying to sell you bottled water that they just filled up w/ parasite infested water from the local tap. Car accidents in Haiti are a common thing kind of like bumper cars, or like bumping into someone at the mall. Traffic was crazy, but I was grateful for a Christian taxi driver who knew his way around. He got us to the safe house as safely as possible. I was so relieved to see a steal barricaded door w/ 8-10’ ft high concrete walls and razor wire (barbed wire) It may have looked like a prison on the outside, but it was beautiful on the inside. Palm trees – mango trees – a beautiful garden and nice indoor accommodations. (we were worried we would be sleeping outside) In reality though I felt kind of guilty, because just down the road millions of Haitians will sleep in disease infested tarps. Even now I hear gun shots, horns honking, and children crying in the background. In spite of my guilt, safety is my greatest concern. My guilt will just have to settle for now. I wouldn’t say it is all bad however, some of the natural scenery is beautiful with all different types of vegetation, and gorgeous mountains in the back drop. We were even greeted upon arrival by a cool Haitian band. My nerves have settled now as I just finished some Cracker Jacks and am now sipping on warm water. It is clean that is all I got to say. It probably doesn’t help that I am running on less than 2 hours sleep. AAhhhh the breeze feels awesome. I just wish I could talk to my wife. I want to hear her voice. 3:30ishpm Me, Paul, & Jim decided to go with one of the Pastors here in Haiti to see 3 of his churches, and while doing so we pretty much toured the whole city. Once again traffic amazed me. It was a free for all. We drove by the U.S. Army base and seen all the Hummers & large military vehicles. Then we came to His 2nd church in which was most damaged by the earthquake. There were what they called tent cities/villages everywhere. To me they should call them sheet, stick, and tarp villages. It was so sad. Beside the second Baptist church we visited there was a huge Tarp village which happened to be the primary congregation of the church. Multiple children came out to greet us and we played ninjas for a little while. The kids loved having their pictures taken and then they wanted to see themselves. They made all kinds of poses. We later had to leave and say our goodbyes. We went around and seen the majority of the city filled with destruction. I was amazed at how overpopulated the city was. At one point some Haitians ran a whole heard of cattle right down the main street. It was chaotic. 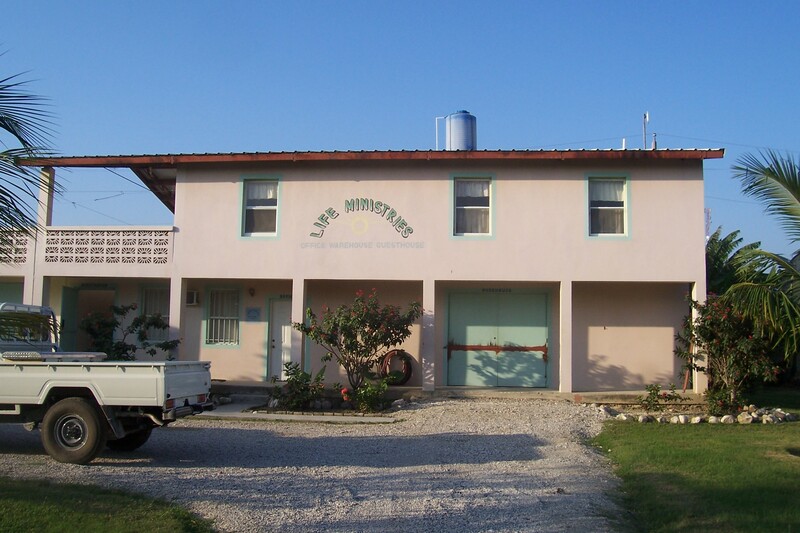 Next we went and visited Pastor Moore’s school/church in central P.A.P. The school/church was in ruins. I was sad to hear that the elementary was no longer able to meet. They were able to still have small Bible studies. Eventually we made it back through the over populated market filled streets to the safe house (Blue Ridge International Ministries compound). We ate spam sandwiches for dinner, got showers which were cold, but to die for, and kicked back and relaxed. It was so beautiful that a couple of us decided to sleep out on the balcony. It was so beautiful and peaceful under the star filled night sky. I rode the Skylink tran like 6-8 times. It was like a mini-coaster. While at the D terminal during one of my tran rides I got to see a cool aluminum castle like sculpture. It is about 7:15pm and our flight to Ft. Lauderdale has been delayed 15-30 minutes. We are going to be arriving in Florida around midnight and have to load up at 6am for Port Au Prince. We were watching CNN and received the bad news that they are wanting to evacuate Port due to possible mud slides. This got me really nervous. They want everyone to head North where we are going to be located. Now I’m truly concerned about crime, massive rain, flooding, and crazy mud slides. The only thing I can do is trust in the Lord and stay strong knowing our team is going to work together to be successful in our endeavors. 10:30is on Thursday night, and 3,300 miles (not sure on exact heights. I believe that is what the pilot said.) in the air. 2 hour flight on my way to Florida. Looking out of the plain window I see God’s awesome creativity, yet at the same time I feel so small and alone. I recently read II Cor. 12:? Where it talks about in my weakness He is made stronger. Well right now I feel pretty weak & small. It’s hard to believe that God uses people such as you & I to do great things for His kingdom. At the same time I already miss my family. It hasn’t even been 24hours yet. Trips like this really make me appreciate the ones I love. My son before I hung up the phone tonight told me that I was the best daddy and that he loved me very, very, very much. It just made me want to hug him even more. “Sleep tight, don’t let the bed bugs bite” were the last words he spoke to me. 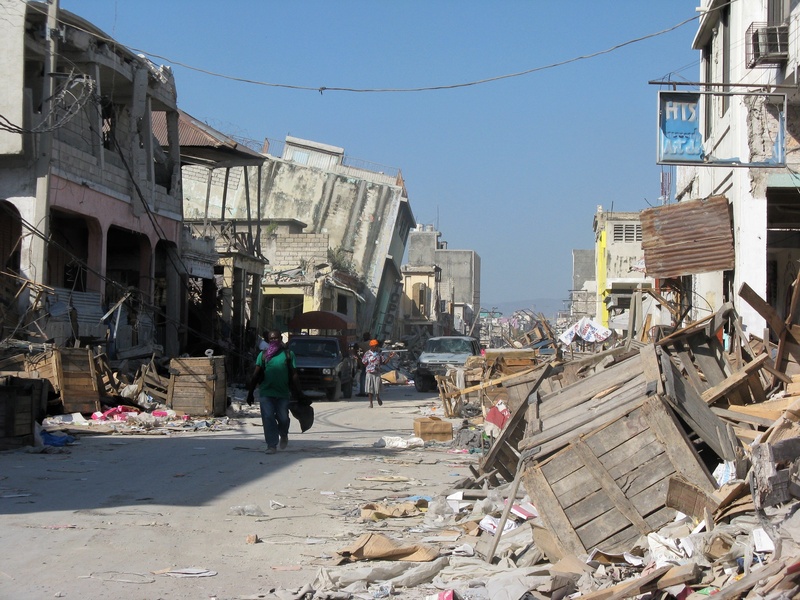 Seems silly now, but when we get to Port Au Prince (P.A.P.) Bed Bugs, Parasites, and mosquitoes really will be an issue. Listening to “Mountain of God” by Third Day. I am a very blessed man. I have an awesome family – wife, child, and one on the way. Granite my team make it home safely, I will look forward to going and finding out what Katie and I will be having. If it’s a boy we will name him Elijah Pierce (Eli for short), and if it is a girl … Trinity Lynn. ≠!!! Just saw lighting outside the plane window. Looks like we are about to have a bumpy flight. 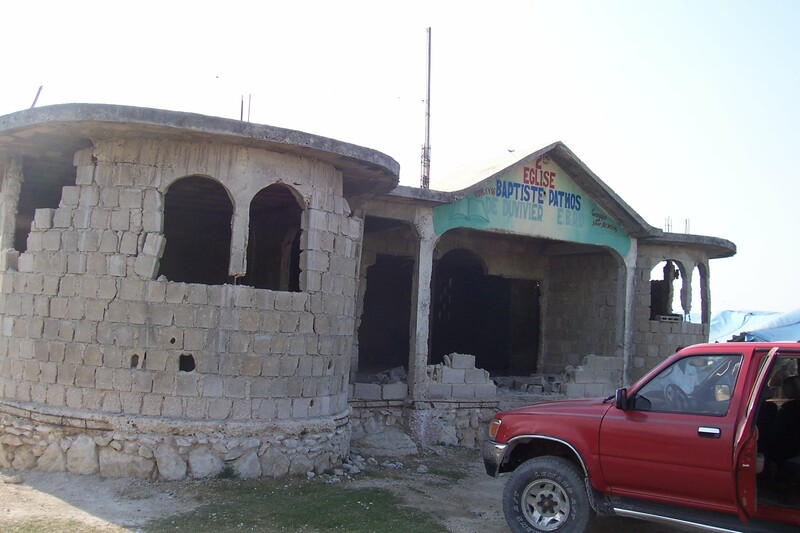 Over the next several days I will be posting my journal post from every day that I was in Haiti. I am going to post it exactly as it is written in my journal. There will be incomplete sentences, grammatical errors, and various other tidbit notes that I wrote down. I want to leave it as raw and simple as the original thoughts. You will never fully understand nor comprehend many of the things I will write about unless you experience it yourself, but maybe, just maybe you will at least get a glimpse into the reality of Haiti. Today’s the day. I’m heading down with my pastor to Conway Arkansas to attend our State Baptist Meeting at Central Bible College. I hear it is a beautiful campus with some of today’s top scholars. It humbles me to be in the presence of such great men who serve an even greater God. This will be my first state meeting since coming into the BMA. I look forward to meeting new people, and networking with other pastors. We can learn a great deal from one another. I will also get the opportunity to see some of the pastors within our local association whom I have already had the pleasure to meet. I think my favorite part about these out of town meetings and seminars is the quality time spent on the road with your fellow ministry partner. I know I shouldn’t mention it because it probably will only add fuel to the fire, but I have been known to be a pyro. The so called Gay Christian Organization “Soulforce” is going to be protesting at CBC the same day we are suppose to be there for the state meeting. This organization has been active for over 10 years protesting at different colleges, universities, and churches throughout the United States. They call it American Family Outings or The Equality Ride. Below is one of their posts. I just don’t understand how they can justify their actions, and how people can support this kind of behavior when the Bible clearly states it is a sin. Soulforce has been deceived by their own hearts. Now don’t misunderstand me. We ALL fall into one of these categories, and if you don’t think you do I can prove it and inside you will admit it. The only thing we have going for us is the saving knowledge of Jesus Christ. It’s not about us, but about Christ. That is one thing I do agree on with Soulforce, however this verse clearly states that homosexuality is a sin which hinders people from inheriting the kingdom of God. Does that mean that they cannot be saved? NO, however when one is saved they MUST – TURN & TRUST. They must TURN from their ways, and TRUST in God. If they truly TRUSTed in God they would TURN from their sin, and that is what it is. People need to stop justifying their sin, and get down on their knees for a Savior. All I have to say is their Civil Rights are not going to be worth a thing when Christ Comes back, and they are living a life filled with sin. If your bitter, and angry after reading this then maybe you need to search your heart. You might be an angry homosexual. That is ok, because I love you, and am praying for you. You might be a frustrated biblical scholar, pastor, or minister. That is ok, because I love you, and am praying for you too. Be praying for this meeting, soulforce, and the gay community. These are my personal views, and do not reflect the views of my church.